Effortless Travel. 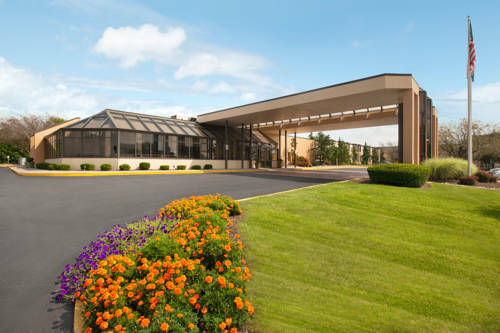 Days Hotel Allentown Airport/Lehigh Valley offers an ideal location, conveniently close to the Lehigh Valley International Airport. With a free shuttle service and free parking, we take the worry out of traveling. Like we said its easy. Complimentary DayBreak Breakfast is available. Free Wi-Fi, seasonal heated indoor pool. Three steps removed from tourable manufacturing facilities of yore, the Crayola Factory corporate attraction is now the safe, kid-engaging Crayola Experience, home of the World's Largest Crayon. No dances with wolves in New Jersey, but you can hang out with them in the woods at Camp Taylor. Wolf Watches are daily guided scenic walks to spot the recently resurgent creatures. A deserted town surrounded by coal piles, with a fake gallows. Part has been restored as a museum and tourist attraction. A public park is home to the anchor from the U.S.S. Maine, 1898's Weapon of Mass Destruction.